Two persons were killed in landslides triggered by incessant rains in Tripura with flash floods inundating several areas in four districts. On Friday, four persons were killed in landslides in West Tripura district. 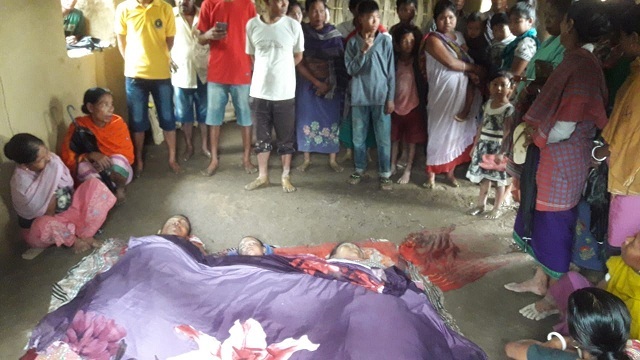 The police said an 18-year-old woman was killed at Palku village in Gomati district and a 60-year-old man died at Belbari block in West Tripura, 25 km from state capital Agartala, owing to landslides. Nearly 14,000 have taken shelter in 59 relief camps in the four flood-affected districts, officials said. Gomati, Khowai, Sipahijala and West Tripura districts were hit by the flash floods, State Disaster Management Authority (SDMA) officer Sarat Das said. Jirania and Mohanpur in West Tripura district were the worst affected, he said. Haora river, which flows through Agartala, is close to the danger mark, the officials said. A red alert has been sounded in Gomati district and adjacent Sonamura sub-division of Sipahijala district. The government has announced an interim relief of Rs 1 lakh for the next of kin of the deceased. Rescue operations were being carried out by the Tripura State Rifles, the National Disaster Response Force and civil defence personnel, they said. District Magistrate of West Tripura district Milind Ramteke told reporters 14 boats were pressed into service and over 700 families rescued. Fourteen relief camps have been set up where food, medicines and other essential supplies have been made available, he added.